Bourbon and cognac. Even if you couldn’t define either one, they both probably conjure a distinct image. Cognac, somehow, makes you think of pinky rings, European cars, and Jay Z. Bourbon evokes dusty roads and hand-stitched leather. But any spirit, of course, goes far beyond just the drop itself. Each variety has a certain reputation, a code of conduct, an association with who drinks it, where, and why. Bourbon and cognac are each deeply linked to a particular history, subculture and place. These two key niche spirits have very different origins, though both are embraced by the American market and have enjoyed recent popularity. So, let’s take a sip of each and see how they compare. Cognac’s unique flavor is derived from fermented grapes, making it a brandy. Bourbon, on the other hand, is made from fermented grains, and is classified as a whiskey. Cognac must be produced only in its namesake region of France in order to qualify as the real deal. Bourbon is made in the US, most often Kentucky, and is distilled from at least 51% corn. American Bourbon and French Cognac are exported far more than they are consumed in their respective homelands, though both are popular in the U.S. Both beverages are aged in oak casks, but Bourbon undergoes a charring process. Interestingly, the old story goes that this charring process was instituted to appeal to cognac fans. Kentucky was hoping to undercut importers by manufacturing their own sweet, spicy dram. Each spirit is influenced by local natural resources; cognac is stored in native Limousin oak, which lends a particular polish. Bourbon, on the other hand, is distilled with the state’s iron-free spring water. Some bourbon may be only months old when it hits the shelves, while a cognac must be aged a minimum of two years, though usually it’s a little older. Of course, both spirits become more refined and expensive with increased age. Bourbon has long been associated with the American South, particularly Kentucky, where bourbon tourism is a strong trade. Production of Kentucky bourbon goes back to the 18th century, and is intrinsically linked to the culture and history of the region, and an archetype of the pioneering, blue-collar American. In recent years, demand for premium, high-end bourbon has risen considerably, as well as a burgeoning industry of craft brewers. Cognac has developed an interesting relationship with hip-hop, one that has helped the spirit flourish in the American market. Cognac, and Hennessy in particular, have featured in the lyrics of rap giants since the 90s. 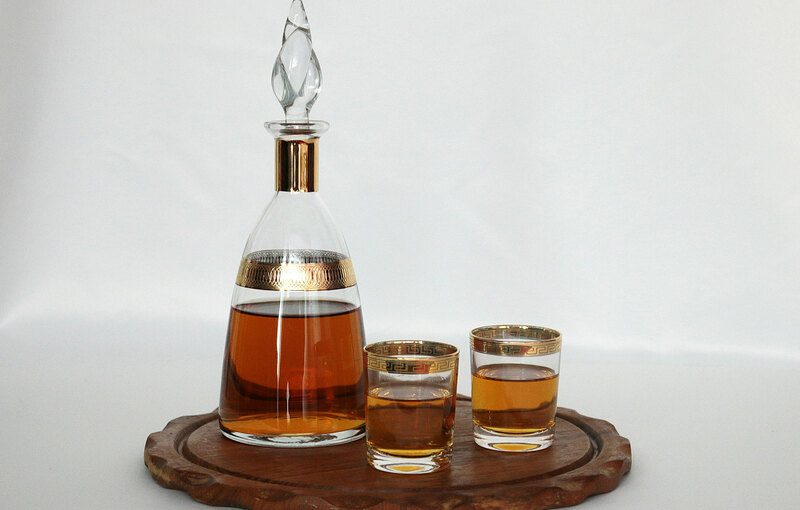 Cognac’s luxury comes from not only the beverage, but its accoutrements, coming in elaborate bottles that signify conspicuous consumption and mark the drinker as a high-roller. Its French origin also cultivates an air of European sophistication and old-world class. Cognac is thought to be spicy, with a unique fruitiness imparted by the grapes, with notes of vanilla and caramel, and a nutty finish. Bourbon is oaky, with vanilla and caramel, and sometimes a little tobacco and apple. Bourbon has a greater spectrum of production processes, although cognac is derived from grapes, which are widely influenced by seasonal variation. Cognac is perhaps best enjoyed neat but is also popular with ginger ale, or in more sophisticated cocktails. Usually younger and more affordable varieties are used for this purpose. Adding ice or a splash of water is of course also common practise. When pairing cognac with food, the go-to choices are cheeses, chocolates and seafood. A fine cognac should be served in a long, fluted round-bottom glass. Bourbon, too, is popularly served neat or on the rocks, and iconically, with cola. Famous bourbon cocktails include the Old Fashioned and the Mint Julep. You’ll find bourbon often paired with red meat, cheeses and fruits. Smokey tastes are a favorite, and bourbon is long associated with tobacco consumption. And of course, bourbon itself is often used in baking and cooking. Cognac has a certain rarefied air owing to the length and complexity of its production processes, giving it status. Its scarcity contributes to desirability, as cognac makes up less than 1% of the world’s spirits by volume. It’s also categorized by age, with “VS” (very special) being the youngest, and “XO” (extra old) the eldest. 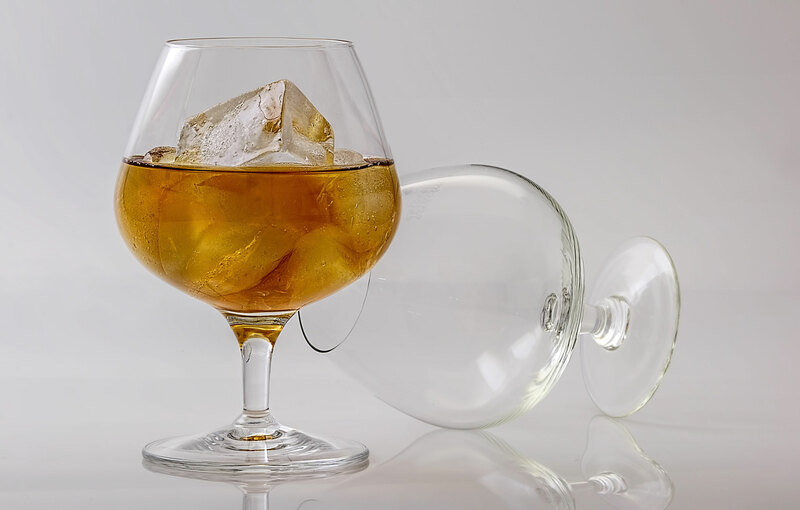 Many cognac devotees swear the drink is hangover-free. Hennessy and Remy Martin are the most prominent names in the market, with Hennessy dominating around half of U.S sales. Of course, these famous brands are often staggeringly expensive. Straight Bourbon must be aged for a minimum of two years, guaranteeing a smoother finish. It’s also forbidden to have any additional color or flavor added. Blended bourbon may contain added flavors or even other grain spirits. Jack Daniel’s may be the most famous bourbon that doesn’t call itself bourbon, opting instead to be labelled as Tennessee whiskey. (Tennessee whiskeys do undergo the Lincoln County Process of filtration, but still legally qualify as bourbon). For the lord of all bourbons, Pappy Van Winkle has long been the title-holder. There’s no clear victor between these two legendary spirits. Each one has a compelling story, whether it’s the elite contradiction of French aristocrats and rappers, or the drink that symbolizes a mythic American South. Each drink has its own famous advocates, brands and cocktails. It all comes down to your preference, in taste and style. Try a few versions of each, and figure out what works for you. A little extra knowledge will enhance your appreciation, and make for more interesting conversation over drinks. Enjoy!